An Icelandic scholar exemplifies the rich cultural exchanges of the Middle Ages. 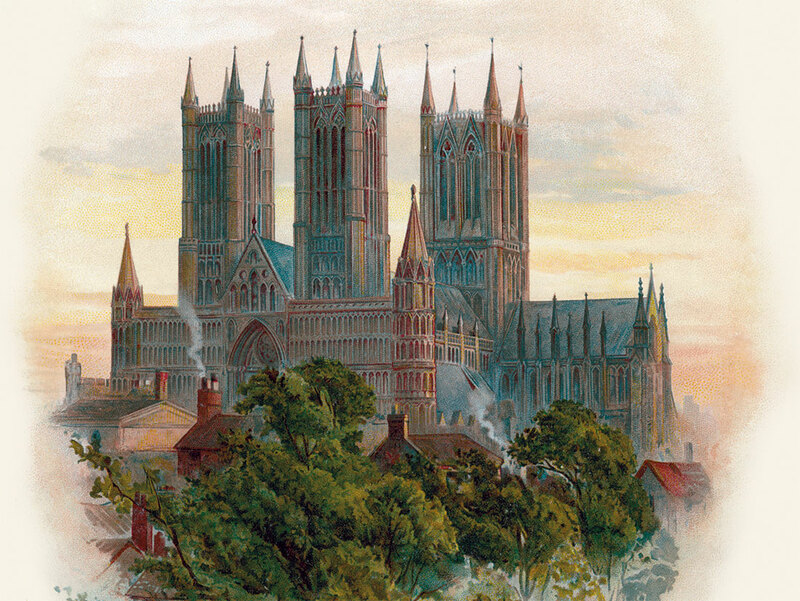 Some time around 1160, a young Icelander arrived in England to study at the cathedral school in Lincoln. His name was Thorlak Thorhallsson. Before coming to Lincoln he had spent a few years studying in Paris; in his future was a career as a bishop back in his native Iceland, then, after his death in December 1193, veneration as Iceland’s first homegrown saint. This short spell in Lincoln was only a brief period in his life, but it provides an intriguing moment of connection between two worlds which were – geographically, at least – very far apart. What did Thorlak make of 12th-century Lincoln and what did Lincoln make of him? Because Thorlak became Iceland’s first native saint, admired by his contemporaries for his pastoral care as bishop and his role as a moral leader, several posthumous accounts of his life were written in Latin and Old Norse. From these we know of his time in Paris and Lincoln, but they give few details, saying only that there he ‘learned a great deal, valuable both to himself and to others’. Therefore, we can only speculate about what he studied or whom he met, but we do have plenty of information about medieval Lincoln, which can help us to imagine how it might have looked through Thorlak’s eyes. Lincoln in the 12th century was a lively place. It was a prosperous and well-connected trading centre, one of the largest cities in England, with a cosmopolitan population which included a thriving Jewish community. Then, as now, the physical environment of the city would have been dominated by the cathedral and the imposing Norman castle – grand buildings which were then only a few decades old. No stone buildings of that scale would have been seen in Iceland at that time, so Thorlak would surely have found them remarkable. But one of the distinctive characteristics of Lincoln’s setting, its place high up on a hill above the flat Lincolnshire landscape, would probably not have seemed particularly impressive to anyone raised among the mountains of Iceland; English scholars wrote admiringly of Lincoln Cathedral’s lofty situation, but Thorlak may well have taken a different view. What about the bishop’s household and the cathedral school? The Bishop of Lincoln managed the largest diocese in the country, stretching from the Thames to the Humber, and held a considerable amount of administrative and financial power; in the 12th century, bishops of Lincoln were usually appointed from among the highest ranks of the Norman aristocracy. As a result, they tended to gather around them a circle of equally aristocratic men, who had connections among the French nobility as well as across England. Though in some ways a rather worldly environment, the cathedral was also known as a centre for higher learning. The path Thorlak took from study in Paris to the cathedral school at Lincoln was one followed by several of his contemporaries. Though Paris was certainly the greater of the two schools, Lincoln attracted some distinguished scholars, particularly in the field of canon law. From Thorlak’s later actions back in Iceland, we can assume he learned a fair amount in Paris and Lincoln about canon law, but we might also wonder what his fellow students learned from him. Did he talk to them about Iceland, or about Scandinavian history – subjects which were unfamiliar, perhaps intriguingly exotic, even to the most educated people in 12th-century England? Would he have realised (as some scholarly Icelanders did) that the area around Lincoln had strong cultural links to Scandinavia, as the result of Viking settlement a few centuries earlier, or that the language spoken in the streets of Lincoln was more closely related to Thorlak’s own tongue than to that of his French-speaking companions? We can only speculate; but Thorlak’s visit gives us a glimpse into a potentially fascinating moment of cultural encounter, one of many fostered by the schools of Lincoln and Paris and other medieval centres of learning. It was out of this kind of environment that the medieval universities grew in the century after Thorlak’s death; if circumstances had been different, the school at Lincoln could easily have developed into a university as old as Oxford and Cambridge. Thorlak’s visit exemplifies the kinds of encounter and mutual exchange which have always been a central part of the educational experience, both within universities and outside them. Like so many of the best things about education, these encounters are unquantifiable – not easily measured by metrics – yet of the greatest value. Eleanor Parker is Lecturer in Medieval English Literature at Brasenose College, Oxford and writes a blog at aclerkofoxford.blogspot.co.uk.